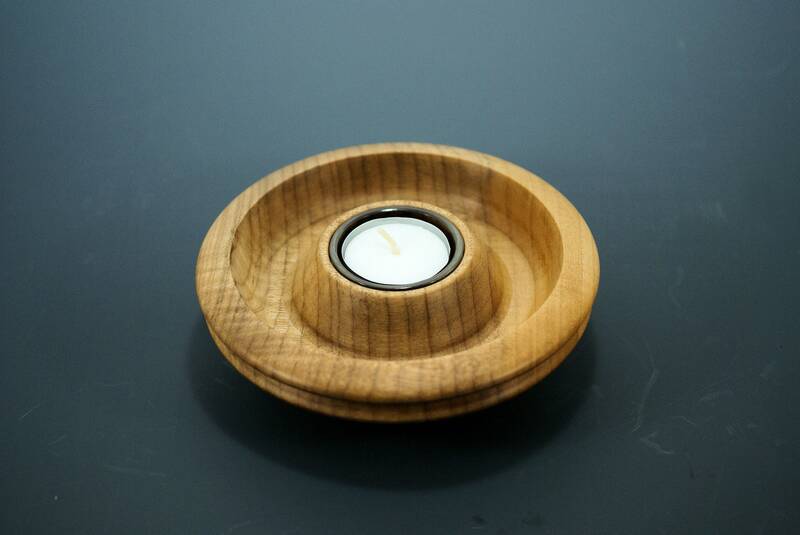 I made this candle holder out of Maple found in the Willamette Valley. 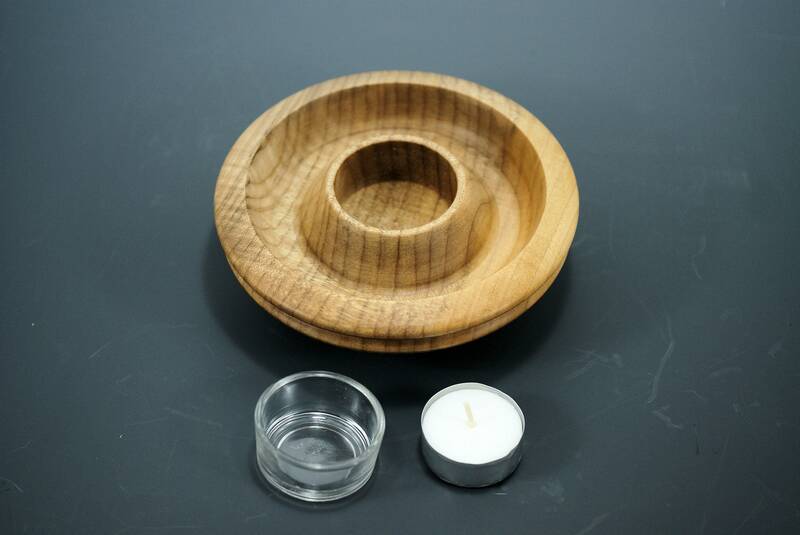 It comes with the candle and a glass holder that fits in the wood. Some have put coloted peebles or sand around the rim for a little more color. 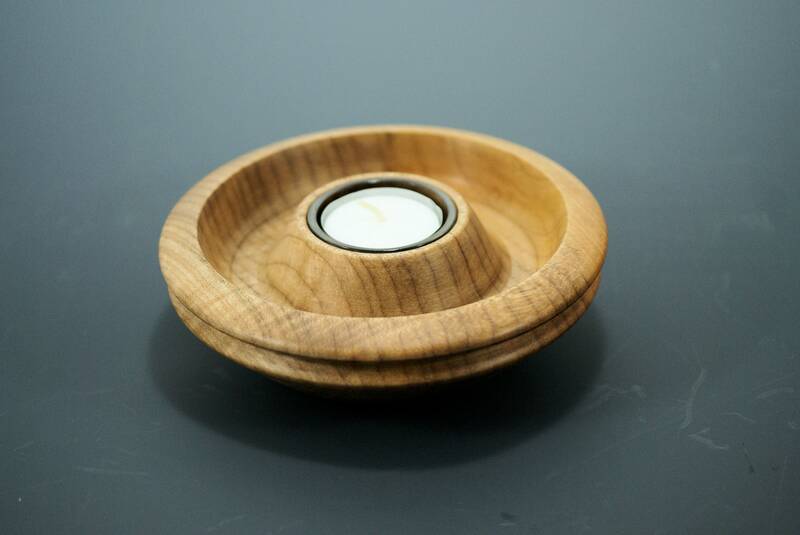 This makes a perfect little gift that says I have been thinking of you. 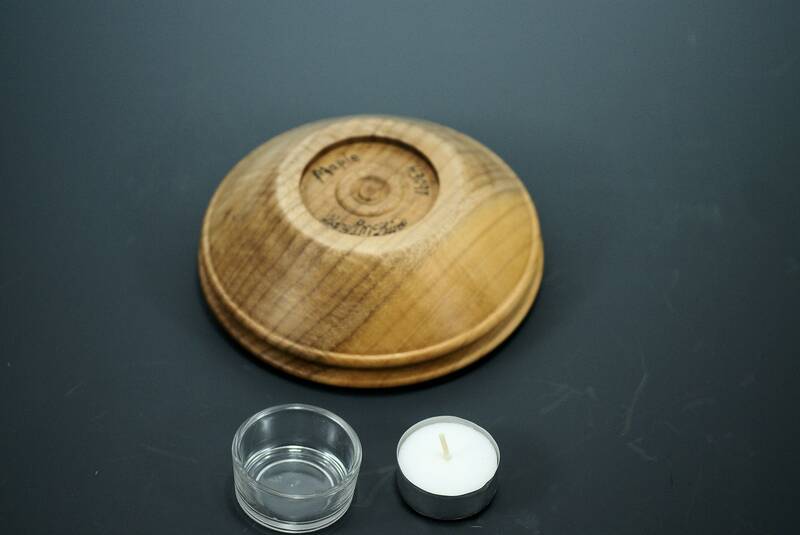 The whole thing is 1 3/4" tall and 5 3/4" in diameter and weighs 10 oz.